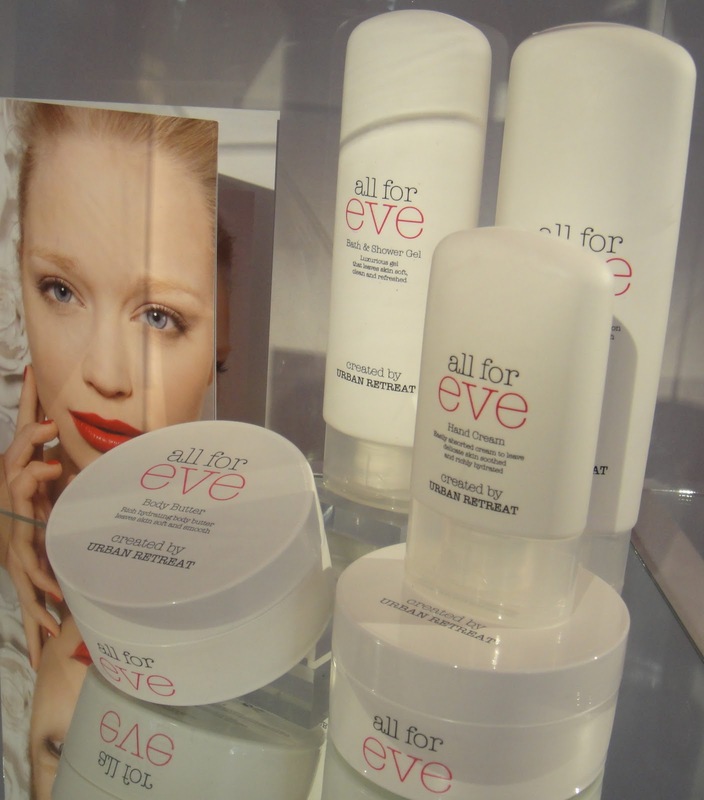 All for Eve Finally Launches! 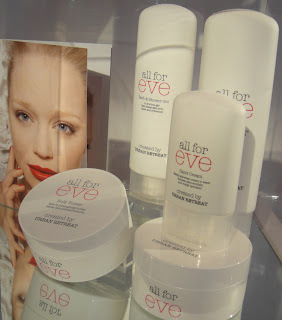 I was very proud to be invited as a guest blogger to the official launch of the All For Eve range on Monday night. Held in the heart of Marylebone, this has to be the glitziest thing I’ve done on a Monday since, well, let’s face it, since forever. I don’t know about you, but this fact shocked me, especially when you consider that the 5yr survival rate for breast cancer stands at 80%. I simply cannot believe that the survival rates haven’t changed in nearly 40 years! This shocked and appalled me, and it brought home to me why All For Eve actually exists. The brand has had, so far, a very short history, the initial idea came into being in November 2009, and it’s already on the shelves in Harrods, and will shortly be available in Harvey Nichols, Selfridges, Fenwicks, Fortnum & Mason, and the top 50 Boots in the country. It’s starting with beauty products, AFE is planning to expand the initial offering – currently comprising body products, a lipstick and nail polish, alongside a Swarovski crystal nail file – into some currently shrouded in mystery other areas – I’m thinking fashion though! Other brands lined up to join the All for Eve umbrella later this year include Elemis, Alpha H and Emma Hardie amongst others, which is a very interesting line up, and I, for one, can’t wait to see what other areas the brand expands into. 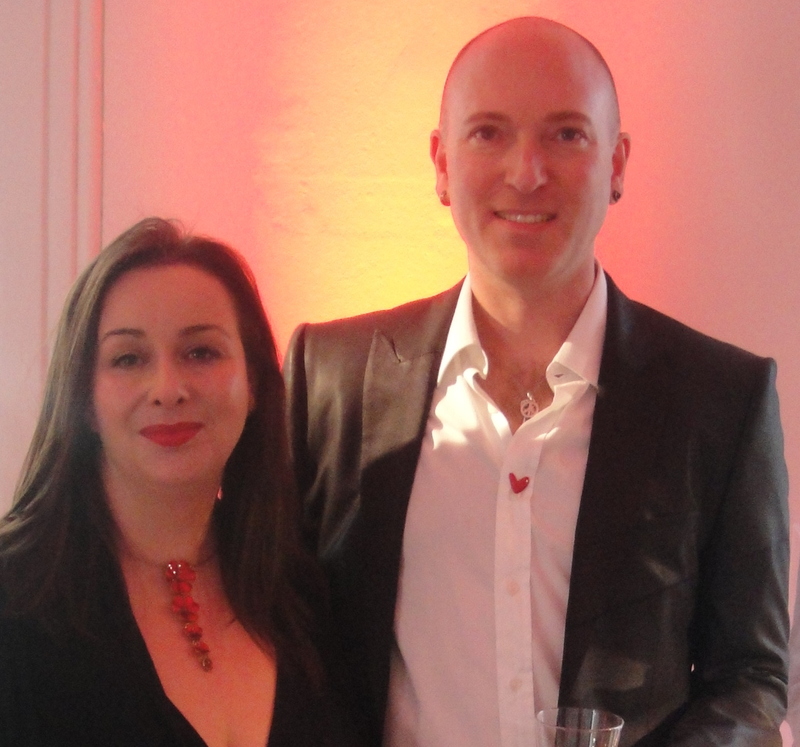 It’s already won 4 CEW awards, and that’s a record in the British beauty industry. I had a brief chat with Sophy Robson, creator of the nailpolish, and we had a bit of a giggle about my twitter habit! But most definitely the high-point of my evening was speaking to Daniel Sandler, creator of the brand’s iconic lipstick (which I am, of course, wearing in the pic at right, alongside it’s creator! ), about how he got involved with the company, and how he went about creating such a great lip colour. He told me all about the perfect red lipstick he discovered as a teenager (a Lancome shade, but I forget the name, but you bet I’ll be speaking to the Lancome office to see if I can track it down soon! ), and wanted to come close as possible to that shade within the budgetary constraints inherent within producing a product for charity. Personally, I think he’s done an amazing job, and wasn’t backward in saying so, I think it’s a great lipstick (and I’ve seen some dreadful ones recently), and it’s definitely on my list of classics. As for why Daniel got involved, something I didn’t know was that he was the man responsible for making Jade Goody look so amazing on her wedding day – say and/or think what you will about Jade, you can’t deny that for an end-stage terminal cancer patient, she literally glowed as a bride, and she single-handedly did more to publicise gynaecological cancer than any woman has in a very, very long time – and she did a lot to inspire him. He pointed out that there are a lot of people have been affected by cancer, and he’s very happy and privileged to find himself now in a position to be able to actually do something. Daniel is an exceptionally nice man, and very easy to talk to – sadly, I think I may have talked his ear off a little bit, if you read this Daniel, I’m very sorry! – and when he found out my mother works in a hospice with cancer patients, he immediately offered some help with fundraising efforts. I have to admit I was very touched by this, and I’ll be getting in touch with the hospice soon to see if there is anything they need. In the meantime, if there’s something you want to do, then make a start and buy a product from All for Eve. Those survival rates have to change. Next Post New hair – new lipstick! Until monday I hadn't realised it wasn't launched already. I agree it's a disgrace that no advance has been made in diagnosis of ovarian cancer in nearly 40 years. Claiming it's a hidden disease with no symptoms was used as an excuse for way too long. It's fantastic to have a brand out there championing the issue and it was great to hear about all the awards they won at the CEW. We loved having you there – and you're right Mr Sandler is a Gent through and through. Those are shocking statistics. I hope the brand does brilliantly, I'll certainly check them out.